After a year of hype, Asus' Padfone is finally going up for pre-order, but only in Taiwan for now. According to Taiwan News, pre-orders for the phone-tablet hybrid begin on Friday. The Padfone will launch in Taiwan April 20, with availability in Singapore, Hong Kong, Germany and other European countries to follow. There's still no word on a U.S. launch. The Padfone is an Android smartphone with a 4.3-inch display that can dock inside a 10.1-inch tablet. 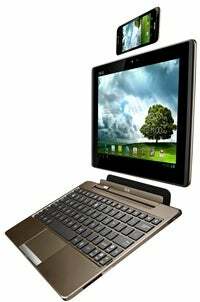 The tablet can then dock into a keyboard and trackpad, similar to the Asus Transformer. In other words, it's a phone that turns into a tablet that turns into a laptop. The Padfone also includes a stylus that doubles as a Bluetooth headset for the phone. Silly as that sounds, it's necessary if you want to make or take calls while the phone is docked inside the tablet. Engadget Chinese reports that the phone alone will cost roughly $610, plus an extra $240 for the tablet dock, and another $100 for the laptop dock, putting the price of the whole package at around $950. But as Liliputing points out, those are unsubsidized prices. In the United States, wireless carriers typically knock down the price by about $400 for customers who sign a two-year service contract. 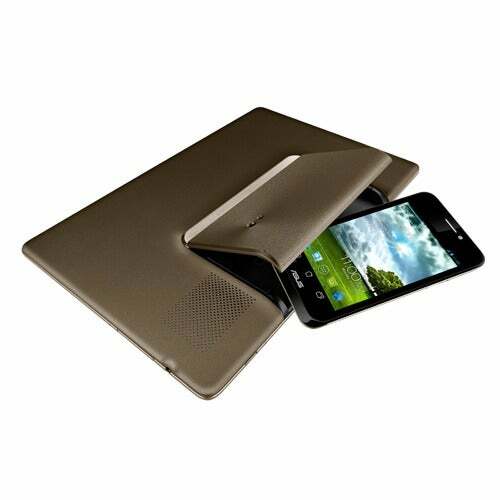 The Padfone's specs include a 1.5 GHz dual-core processor, 1 GB of RAM, a minimum 16 GB of storage, an 8-megapixel rear-facing camera and a VGA front-facing camera. The phone's AMOLED display has a resolution of 960-by-540, and the tablet's resolution is 1280-by-800. The tablet dock has its own 1.3-megapixel front camera and ports for micro USB and micro HDMI. Those specs are starting to look outdated, with quad-core tablets on the way and Apple's iPad setting the bar higher for screen resolution. But the Padfone's an interesting concept, so hopefully it finds its way to more markets soon.